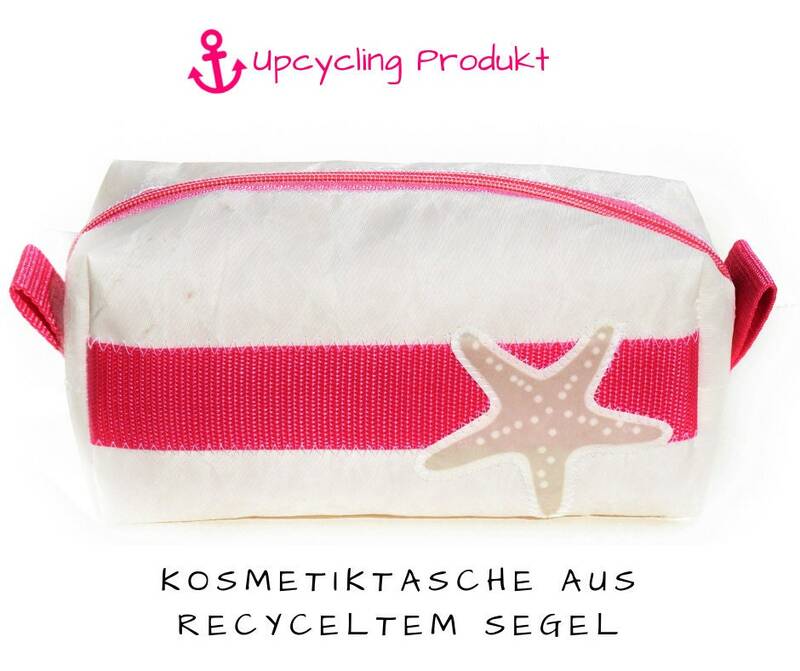 Maritime Cosmetic Bag "pink starfish" made of recycled Sail. 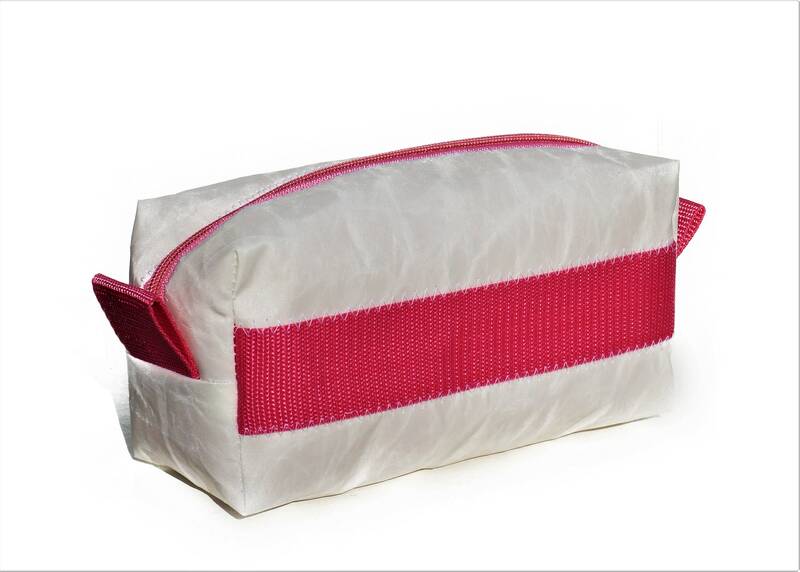 The white makeup pouch with pink straps is 21 x 10 x 8 cm in size and worked from a recycled Sail. 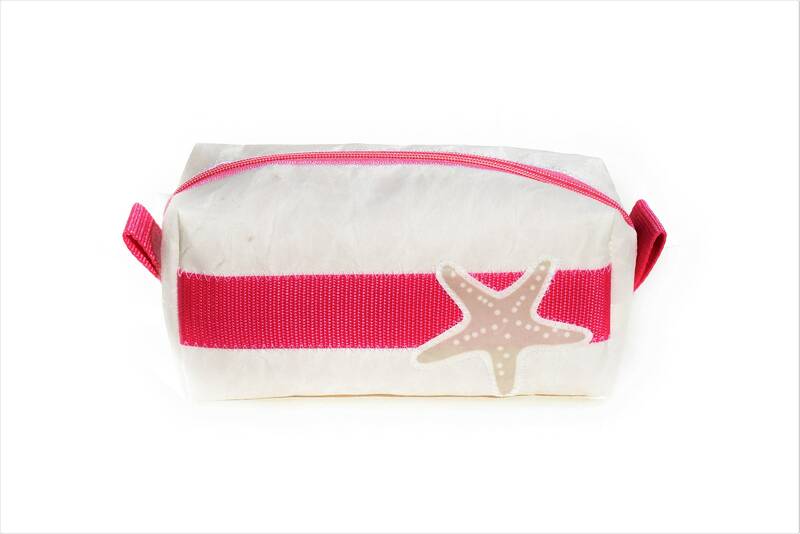 Eye-catcher Is-next to the quilted bright pink ribbons-the light gray applied starfish on the front of the Bag. All quilted in the typical maritime Zig-zag Stitch. 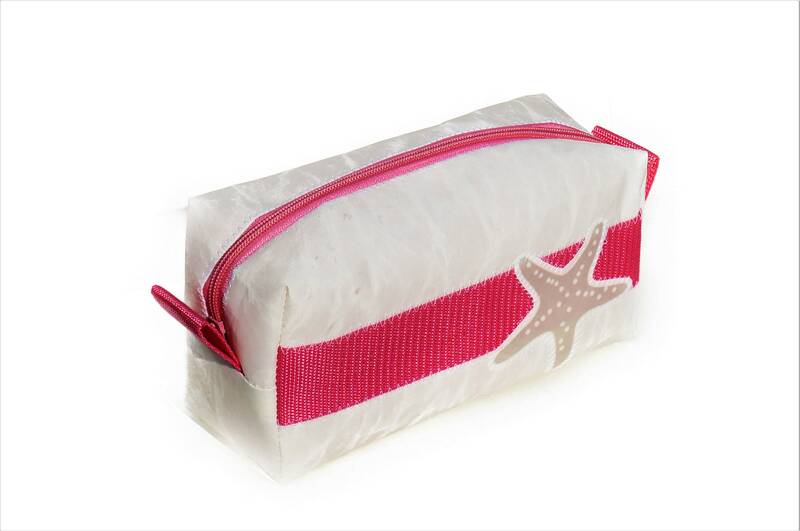 The bag is unlined and is closed with a pink zipper.